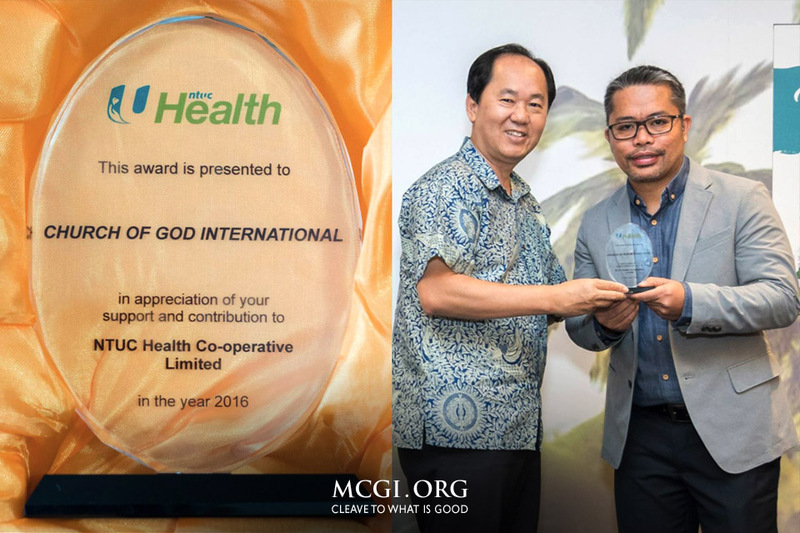 Singapore — Singapore-based “National Trades Union Congress Health”, or NTUC Health, a nursing home and senior care provider, presented the Singapore Chapter of the Members Church of God International (MCGI) with an Appreciation Award on August 12, 2017. 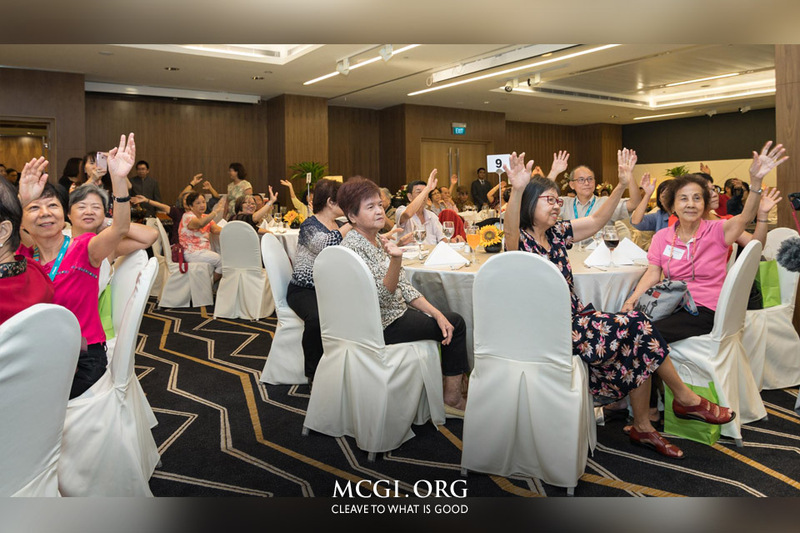 MCGI was honored for their exceptional effort in serving the elderly community in Singapore, citing its commitment in sending volunteers, helping provide food, entertainment, and companionship to NTUC’s senior clients. NTUC Health director Jeannie Ho thanked MCGI’s Overall Servant Bro. Eli Soriano for encouraging MCGI members to volunteer for worthwhile causes. Bro. Robert Navoa, MCGI-Singapore’s representative, expressed his gratitude to God for the chance to be of help to others during the awarding ceremony. “Thanks be to God for every opportunity that we can extend help to everyone, especially to the elderly. It is really fulfilling,” said Bro. Navoa. With the goal of contributing to the overall health and welfare of the elderly belonging in middle income households, NTUC Health was established with the help of the Singaporean government. MCGI Singapore has been actively volunteering for NTUC Health since 2012. Elders in NTUC Health participate in an activity with the event’s comedic host, aiming to entertain guests and volunteer awardees during the NTUC Health Volunteer Appreciation Lunch. Asides from elder care assistance, MCGI also partakes in other notable charitable endeavors, such as their continuous blood donation efforts. 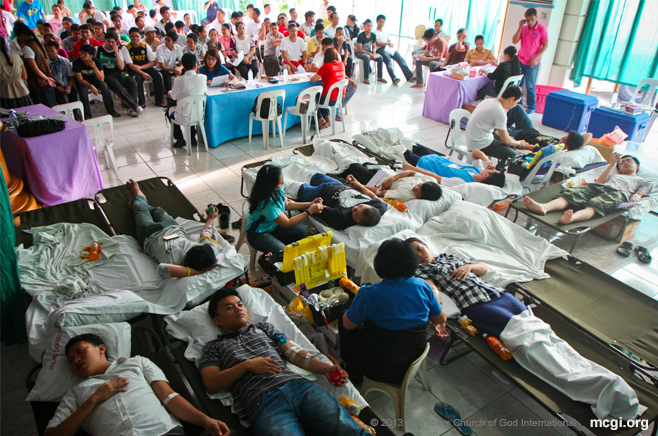 MCGI-Singapore has been twice awarded by Red Cross Singapore with the “Gold Award” for being champion blood donors.